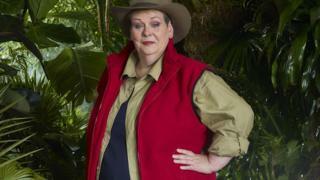 I'm A Celebrity Get Me Out Of Here contestant Anne Hegerty has opened up on the show about her autism. Anne has a form of autism called Asperger syndrome. In the first episode, the Chase star broke down in tears at Snake Rock and said she didn't know if she could handle staying in the camp. Her camp mates made her feel better and Anne later said how supported she felt. I really appreciate how nice and sympathetic they've been to me and how supportive they are. And it's nice they say I pick up social cues because I'm never quite sure that I entirely do. "I didn't raise the autism issue... I try not to do that. But if someone else raises it I make it clear I'm happy to talk about it. I really appreciate how nice and sympathetic they've been to me and how supportive they are. And it's nice they say I pick up social cues because I'm never quite sure that I entirely do." People took to social media to praise Anne for being so open. One user said: "Anne opening up about her Asperger syndrome on #ImACeleb is spreading awareness and it makes me so happy reading positive comments about autism for once! Most people have heard of it but don't actually know anything about it. Thank you." 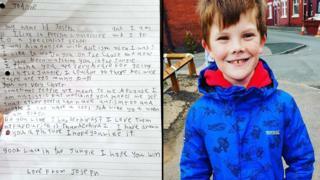 To find out more about autism, read Newsround's guide to the condition. If you have any questions about autism or want to find out more, speak to an adult that you trust - maybe a parent, teacher or another relative - or you can speak to your local doctor, who will have lots of information and advice if you need. What is it like to live with OCD?